Riccardo started his career at a very young age in Milan's prestigious "GIRARROSTO" family owned. Then, in 1982 he moved to the United States and he opened the famous Sonny Bono's in Los Angeles. In 1987 he started to work with his cousin Roberto Ruggeri (owner of Bice's Venture), with him he opened Bice New York, Los Angeles and many others around the world. Excellent, excellent food! It was as good as any meal we’ve had in Rome or Milan! 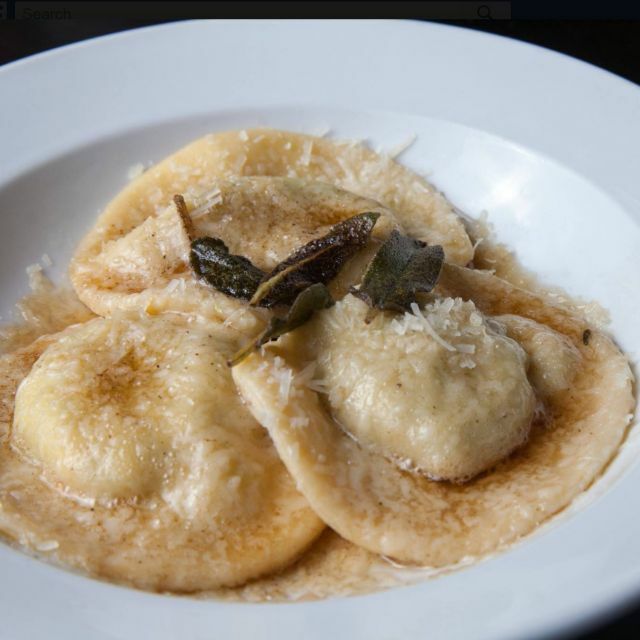 Riccardo Trattoria continues to be one of the best Italian restaurants in the city. Everything was superb! This is my favorite Italian restaurant in Chicago. The menu is extensive. It is in a small space, and is usually packed so I recommend having a reservation. Amazing food, and family style service.....this is a neighborhood gem! Lovely restaurant: great antipasti and risotto! Our favorite place to eat in Chicago. Authentic, great food, not a hangout for guys wearing baseball hats backwards. Hands down the most authentic northern Italian in the city. It’s been my favorite for years but every time I recommend it to friends and family it becomes their favorite too! Fabulous food, great wine selection and fantastic wait staff. This was our second time dining here and it was just as wonderful as the first. Not only was the food amazing but we never felt rushed. I highly recommend this place! Great Italian food in a cute, local neighborhood type restaurant. Visiting Chicago and found this restaurant near our hotel. We love Italian so thought we’d give it a try. It did not disappoint! 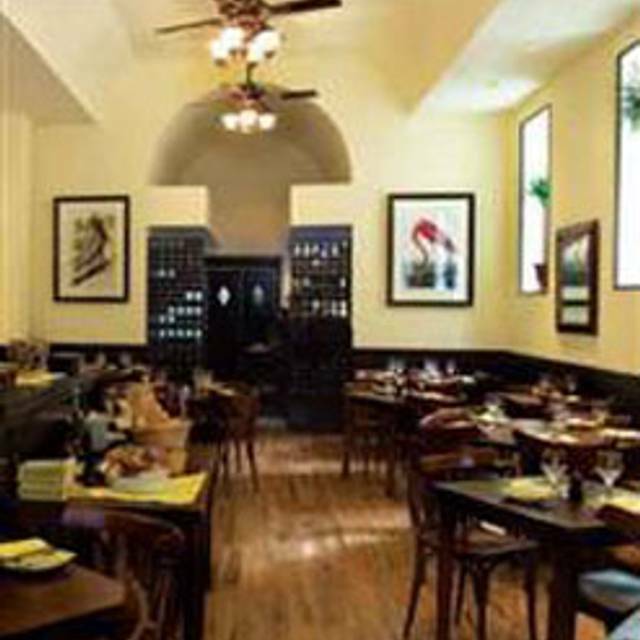 Truly a neighborhood gem in the Lincoln Park section of the city, the food and ambience were authentic Italian! I’ve never seen a menu with so many choices! We both went for the specials. I chose a lamb shank on parmesan risotto and my husband had the ossobuco veal shank on saffron risotto. Both were outstanding! We finished with the apple tart and vanilla gelato and the chiocolotissimo with vanilla gelato, very much a chocolate lava cake, the best I’ve ever had! The bread was another wonderful surprise. The traditional Italian bread, but also a pizza topped bread in addition to focaccia! I wish I had had room to eat more of it. We also had a starter of calamari fritto which was crunchy on the outside and very tender on the inside. Our server was also authentic Italian, a wonderfully friendly man who offered good suggestions and served us with pride. I only hope we can return to this wonderful place again very soon! First time here. The food was absolutely amazing and authentic. Service was lovely. Will definitely be returning. Soon. The service, however, was not. We arrived to a 1/4 full restaurant for our 7:30 reservation and had to wait about 20 minutes before we were greeted by our waiter and drinks orders were taken. The service was spotty for the remainder of our meal and required us to raise our hands to ask for more water, more drinks, the bill, etc. 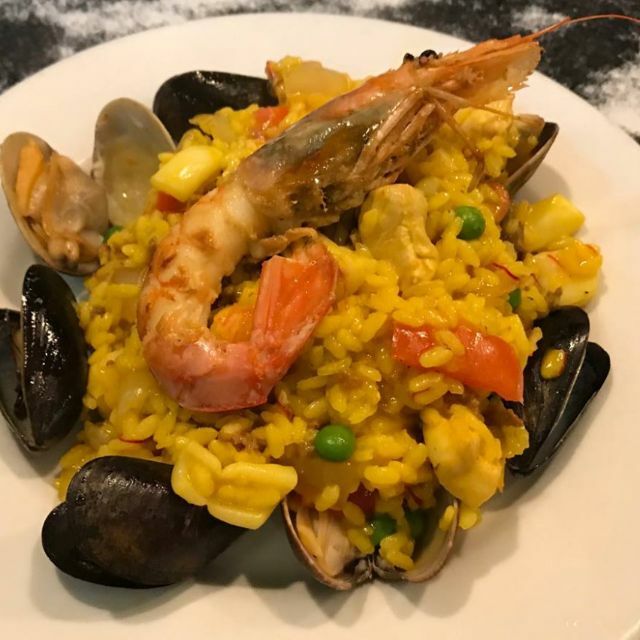 If you are looking for an authentic European experience, with incredible food and a wonderful wine list and poor service, this might be the place for you. That said, the pasta was so delicious that I would go back again tonight and pray that this was just an off night. An off night can happen at any restaurant and I hope our experience was a fluke because this just might be the best Italian food in the city of Chicago. Haven't been for a number of years. The place seemed tired; cutlery and plates were pedestrian; gone was the table cloth ambiance of days gone by. Sinatra playing, OK, but the same song over and over? 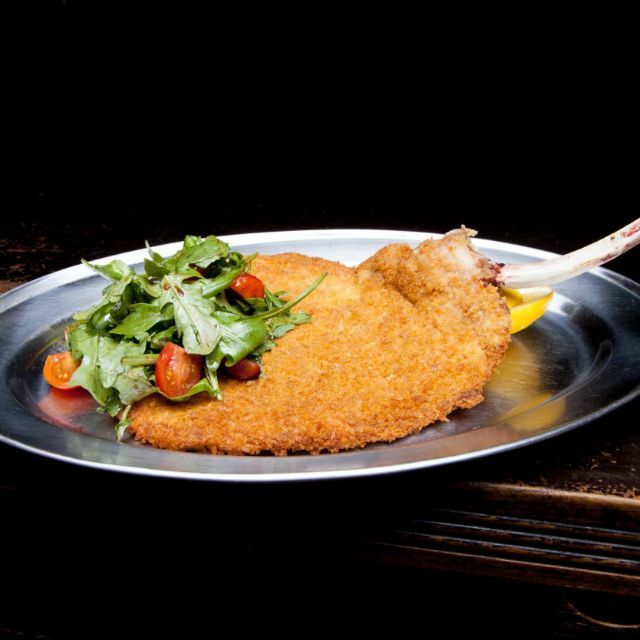 My wife had the branzino which was tasty but cold, must have waited for my entree, which was veal saltimboca, very nice. Salads were limp; foccacia was stale. Waiter was friendly enough. Altogether not the place it used to be. A neighborhood favorite. This small trattoria is our go place to celebrate our anniversary. Personal warm service. Excellent Italian food. Special without pretense. I’d like to state, for the record, that we love this Trattoria. Ok, so, the other day I got a call from our waiter that we had when we dined there 3/30. He was, for lack of a better word, distraught. There’s a review below in this thread that he thought I wrote. I did not. It’s dated a day earlier than when we ate there. It’s a nasty little review. The thing is, he was so upset and wanted to do whatever he could to make it right. I literally had to reassure him, like four times, that it wasn’t me and that we truly had a wonderful dinner experience across ambience, service and food. I highly recommend this restaurant. On food alone, this is a great experience. 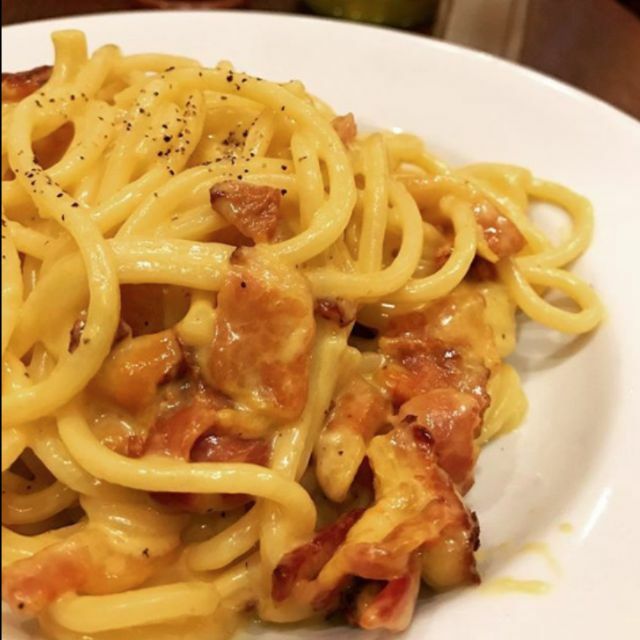 Selection of antipasti, salads, pasta, and meat dishes is exactly what one would expect from a solid old school Italian restaurant. Deserts were also fantastic and included really solid Italian choices. Service was great and attentive, even though we had some picky kids eating with us. About the only reason I would not give it 5 stars is the weak wine list. Limited selection of classic Italian wines and really no new world wines to choose from. Apart from that, this is now one of our go-to spots. Great food, great service. I'll definitely be back. Fabulous evening. Food is unbelievably flavorful and great. Sauces are also unbelievable! Menu is broad and affordable. Ate way too much and really, really enjoyed ourselves. We will be back soon. Delicious, convenient, neighborhood spot. Always a pleaser. Beet salad was fresh and a great, light start to our meal. Shared wild boar orecchiette and veal and ricotta meatloaf special between three of us. Plenty of food and both were outstanding. 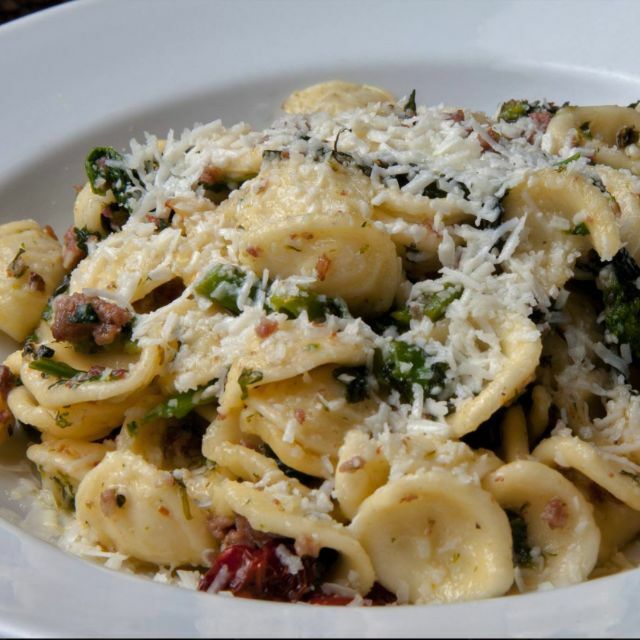 Orecchiette is really to die for! Wine is always spot on. Quite empty, even for a Monday night, but still several large, happy tables. Food is always consistent. Love coming here for a variety of events. Great food, great service, decor very traditional! This is a neighborhood gem. Well worth the the 10 minute taxi ride from downtown. It is very small so reservations are a must. Our server, Christian, made excellent suggestions. 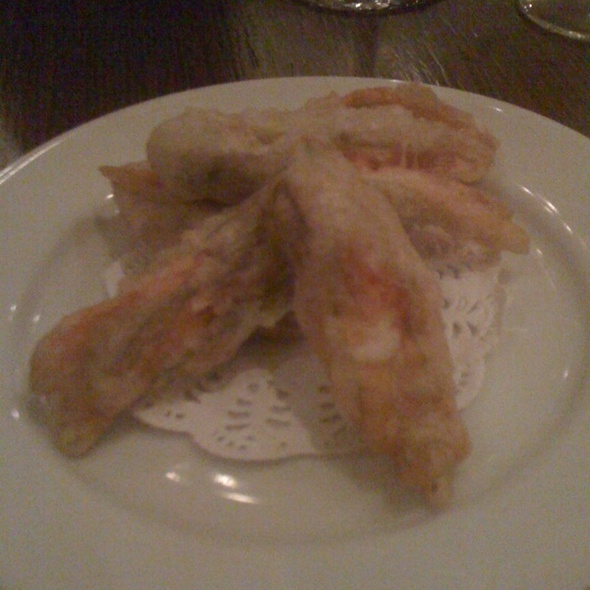 The stuffed squash blossoms for an antipasto were delicious. Our party had veal parmagiana, pasta bolognese, pasta carbonara , and grilled octopus. Without exception, every dish was excellent. While the food was ok, the attitude was not. We waited almost half an hour beyond the time of our reservation before being seated and no one even apologized for the delay. They have been in business long enough to know how to book reservations without having delays in seating people. They should have done better. Our family loves this place! The service is amazing and the food is as well!i always order the homemade pasta with truffles. Went for my fiancé’s birthday-the service was great! The food was delicious and great portions. We definitely be back! Always great service and delicious food. Living in the suburbs, we wanted to take in a high rated Italian restaurant. However, we feel we have better places to go around where we live. My wife had the Veal special and it was very salty. It tasted like sardines were grounded up on top of it. I had the Bolognese and it was pretty good, but just about what I could have had closer to home. All in all, a nice place but not worth the drive downtown. 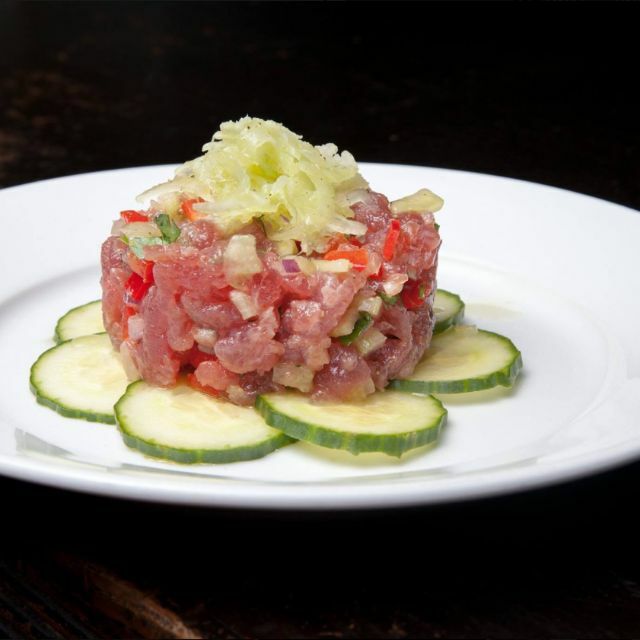 Solid, unfussy, classic bistro atmosphere with great service and delicious food. Large menu could be explored nightly for a month and never get boring or redundant. Truffled burrata with prosciutto was addicting, rustic sausages in couscous were hearty and satisfying, black ink ravioli stuffed with baccala and bathed in a delicate saffron shellfish cream was a delight. 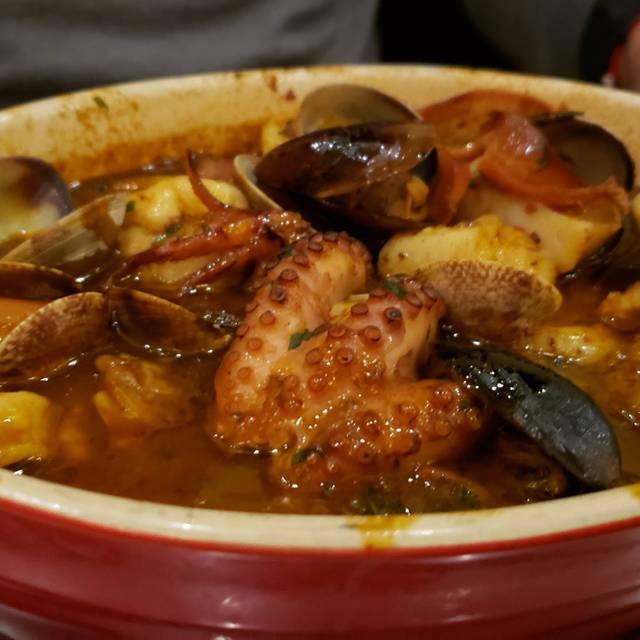 My dining companion had a cioppino with perfectly cooked seafood in a rich broth. Our waiter was a true professional in the manner perfected by European bistros and restaurants. Knowledgeable, willing to offer informed opinions on every course and beverage choice (versus saying something like, "I'd go with the chicken because I hate fish!"). Present and helpful but never cloying (or aloof), he was a steward to a true dining experience. Never once did he feel compelled to blurt, "how's everything tasting?" or "still working?" Never once did we feel neglected as chatted with other staff in the distance or disappeared inexplicably for long periods. Really delicious food in a charming, cozy space. Service was excellent. We will return. Francisco was an excellent waiter. The food was amazing (as usual)! Every time I go I feel like I am eating in a restaurant in Italy! This restaurant is quaint and the staff is very attentive. The food is amazing and ingredients are fresh. Great experience! It is such a great place all around. I love the food, the wait staff is so knowledgeable and friendly and it’s such an authentic Italian experience. We loved it. Our server was helpful and appeared at just the right times. We were celebrating being in Milan a year earlier and this was close to that experience.